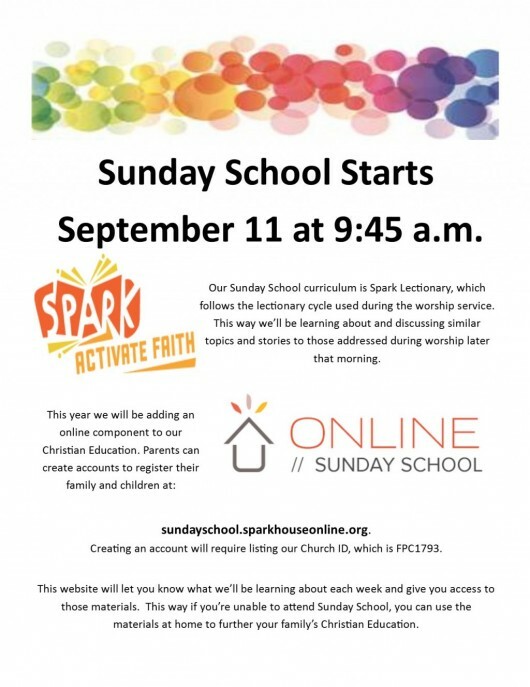 Sunday school is held at 9:45 each week from September through May. 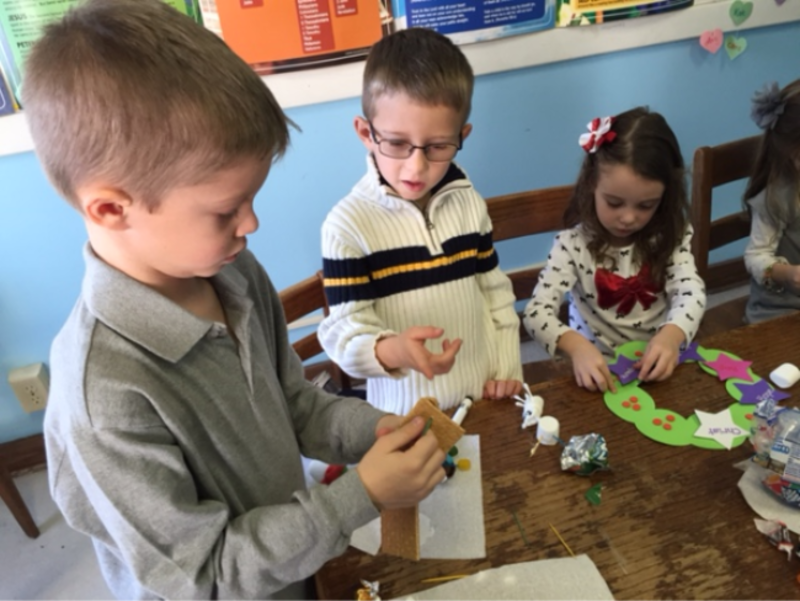 Christian Education at First Presbyterian Church strives to create an atmosphere in our Sunday school that entices the children through adults to learn and retain God's word. We students to experience biblical truths so that they can develop an integrated faith. Our goal is to have a department that will energize and excite our students while at the same time giving them many different avenues by which to receive, remember, and act upon lessons of the Christian faith. Classes for students in Preschool through Senior High, Adult Study and Women's Study are offered each week.